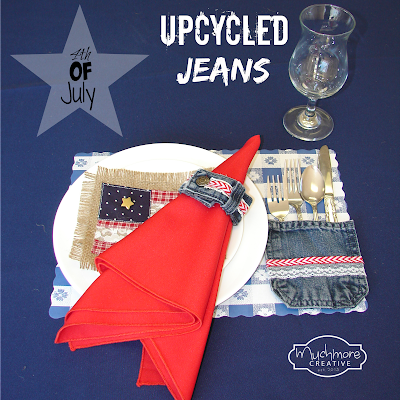 I have a stack of jeans, that I have been wanting to use for a project, so I decided to make them into 4th of July decor! First, cut the waist band off and cut the pockets out of the jeans. When cutting the pockets out, cut around the outside of the pocket so that it's still attached to the back layer of fabric. I'm using a pair of kids jeans this time. To make a napkin ring that snaps together with the jean snap, first cut the waist band in half. I left the belt loops attached. The jeans were one of my sons, so they had tightening straps on the inside of the waistband. Next, snap the two pieces of the waistband together with the snap and then measure and trim each end of the waistband about 4 inches from the snap. Next, glue the cut ends of the waistband together. You can glue some ribbon or trim around it for extra security, plus it looks cute! Next, start gluing the lace and ribbon on the waistband, making sure you go under the belt loops. Snap it together and you are done! The pockets are much easier. Just glue on the lace and trim. At first I was going to sew the lace and trim on, but then I remembered this would sew the pocket closed. I glued the edge of my lace a little around the back side of the pocket to make it look smooth. It makes a fun patriotic place setting! How are you decorating for the 4th of July? This is such a cute idea! I think the napkin ring is great. I will have to get (steal) some of my partners jeans to make some! Found you at Two Uses Tuesday. Now following your social media to keep up with what your are creating! What a creative use of old jeans! Thanks for sharing it at bloggers brags party,pinned! This is totally cute! I tweeted it to the world! Good morning, my dear! 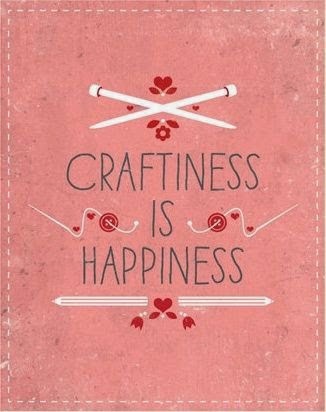 Thank you for sharing this lovely idea with Roses of Inspiration. I have always wanted to make the pockets for picnics and fun table settings, but I had never thought about making napkin rings....too cute! Enjoy your day :) Hugs! What a great idea and so cute! So cute and I love that it's no sew! I would never have thought to use just the waist band but it's a really great detail. I love this Brenda! The touches of ribbon and lace really dresses the levi's up! Thanks for sharing with SYC. Pinning. I love how this turned out! Great job! Thanks for linking up with me for Friday Favorites. I'm featuring you this week.